Retrieve the PCIe card and riser you want to install. 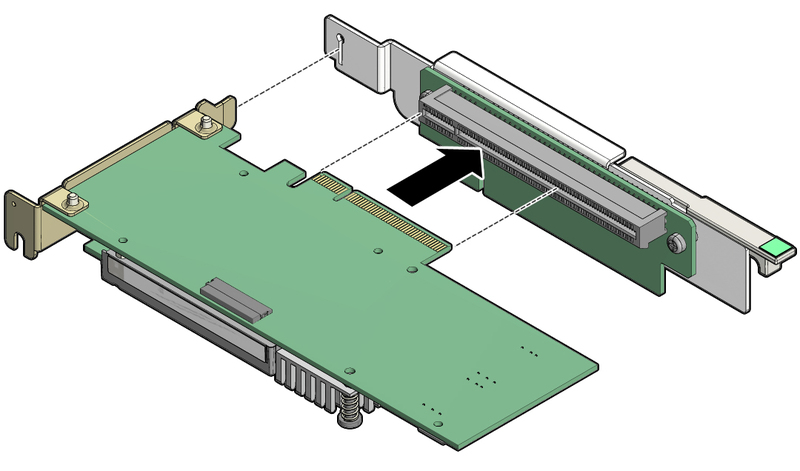 Insert the rear bracket that is attached to the PCIe card into the PCIe riser. Hold the riser in one hand and use your other hand to carefully insert the PCIe card connector into the riser. Install the PCIe riser into the server. See Install a PCIe Riser Into PCIe Slot 1 or 2.